This is a scalable context timeline. It contains events related to the event October 28-30, 2008: Conservative Lobbying Group Releases Anti-Obama DVD in Five ‘Swing States’. You can narrow or broaden the context of this timeline by adjusting the zoom level. The lower the scale, the more relevant the items on average will be, while the higher the scale, the less relevant the items, on average, will be. Previous Attempt - In September 2004, Bossie and CU attempted, without success, to release a similar “documentary” supporting President Bush and attacking Democratic presidential candidate John Kerry (D-MA) on television, just weeks before the presidential election. The FEC turned down the group’s request. The FEC did allow the film to be shown in theaters (see September 8, 2004 and September 27-30, 2004). 'Ten-Year Plan' - Bopp will later reveal that the lawsuit is part of what he will call a “10-year plan” to push the boundaries of campaign finance law, and that he urged Bossie and other CU officials to use the documentary as a “test case” for overturning the body of law (see January 25, 2010). The Supreme Court dismisses an appeal by the political advocacy group Citizens United (CU) that argued the group’s First Amendment rights had been violated by the Federal Election Commission (FEC). The Court had agreed to hear CU’s case that it should be allowed to broadcast a partisan political documentary about Democratic presidential candidate Hillary Clinton, Hillary: The Movie, on cable television networks in the days before critical primary elections (see January 10-16, 2008). The Court did not rule on the merits of the case, but instead ruled that CU should have filed its case first with the federal appeals court in Washington. The ruling does not dismiss the case entirely, but makes it unlikely that the Court will rule on the campaign law issues surrounding the case (see March 27, 2002) before the November 2008 elections. Lawyer James Bopp, representing CU, says, “It is our intention to get the case expeditiously resolved on the merits in the district court, and then if we are unsuccessful there, to appeal” again to the Court. Bopp accuses Justice Department lawyers of trying to slow down the case to prevent it being resolved before the election. CU also wants to release a similar documentary about the other leading Democratic presidential contender, Barack Obama (D-IL—see October 28-30, 2008), in a similar fashion to its planned widespread release of the Clinton film. Justice Stephen Breyer, one of the Court’s more liberal members, says in the order dismissing the appeal that had the case been taken up, he would have affirmed the previous decision in favor of the FEC. None of the other justices made any public statement about the case. The case will be heard by the Washington, DC, federal appeals court. [Christian Science Monitor, 3/24/2008] The appeals court will find against CU, and the organization will reapply to the Court for a hearing, an application which will be granted (see March 15, 2009). 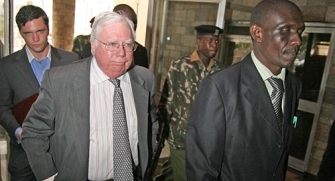 Jerome Corsi, author of a widely debunked smear against Democratic candidate Barack Obama (see August 1, 2008 and After), says in a WorldNetDaily article that since the Obama campaign has responded to his book with a Web page called “Unfit for Publication,” it is conceivable that an Obama presidency will create “a censorship department in which a book critical of a President Obama might be banned from publication.” [WorldNetDaily, 9/7/2008] Corsi has previously suggested that Obama is likely to create a “department of hate crimes” and put critics such as himself in jail (see August 16, 2008). Falsehoods, Misrepresentations, and Lies - Within days, the liberal media watchdog organization Media Matters finds that the DVD is riddled with errors, misrepresentations, and lies. Claim that Obama 'Threw' Illinois State Senate Election - On the DVD, author David Freddoso claims that in 1998, Obama managed to “thr[o]w all of his opponents off the ballot” to win an election to the Illinois State Senate, a claim that has been disproved. Claim that Obama Refuses to Work with Republicans - Freddoso also asserts that there are no instances of Obama’s stints in the Illinois State Senate nor the US Senate where he was willing to work with Republicans on legislation, an assertion that Freddoso himself inadvertently disproves by citing several instances of legislation Obama joined with Republicans to pass. Claim that Obama Wants to Raise Taxes on Middle Class and Small Business - The DVD’s narrator misrepresents Obama’s campaign statements to falsely claim that Obama has promised to “irrevocabl[y]” raise taxes on citizens making over $100,000 to fund Social Security; the reality is that Obama’s proposed tax increase would affect citizens making $250,000 or more. The DVD narrator makes similarly false claims about Obama’s stance on raising the capital gains tax, and on raising taxes on small business owners. Conservative radio host Armstrong Williams tells viewers that Obama will raise taxes on small businesses that employ only a few workers, when in fact Obama has repeatedly proposed cutting taxes on most small businesses. Huckabee makes similar claims later in the DVD. Claim that Obama Supports Immigration 'Amnesty' - The narrator misrepresents Obama’s stance on immigration reform as “amnesty for the 12 to 20 million people who violated US immigration law,” a position that Obama’s “Plan for Immigration” rejects. Claim that Obama Wants 'Centralized Government' Health Care - Blackwell, now a contributing editor for the conservative publication TownHall, falsely claims that Obama wants to implement what he calls “a centralized government program that hasn’t worked in Canada, hasn’t worked in England, that has actually taken the freedom from the consumer and limited the choices.” Organizations such as PolitiFact and the New York Times have called claims that Obama supports government-run “single payer” health care false. Claim that Obama Supported Attack on Petraeus - The DVD narrator claims that as a US senator, Obama refused to vote for a bill that condemned an attack by liberal grassroots activist organization MoveOn.org on General David Petraeus. In reality, Obama did vote to support an amendment that condemned the MoveOn advertisement. Claim that Obama Supported Award for Farrakhan - The DVD narrator claims that Obama has aligned himself with the controversial head of the Nation of Islam, Louis Farrakhan, and cites the 2007 decision by Obama’s then-church, Chicago’s Trinity United Church of Christ, to award a lifetime achievement award to Farrakhan. In reality, Obama denounced Farrakhan’s anti-Semitism, and stated that he did not agree with the Trinity decision to give Farrakhan the award. 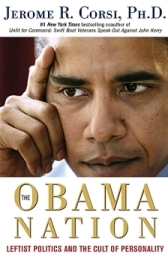 Claim of Suspiciously Preferential Loan Rate - The DVD narrator claims that Obama received a suspiciously “preferential rate on his super-jumbo loan for the purchase” of a “mansion” in Hyde Park, Illinois, from Northern Trust, an Illinois bank. A Washington Post reporter did make such a claim in a report, but subsequent investigation by Politico and the Columbia Journalism Review showed that the rate Obama received on the loan was consistent with other loans Northern Trust made at the time and not significantly below the average loan rate. Behind the Scenes - Unbeknownst to the lawyers and the media, the Court initially renders a 5-4 verdict in favor of CU, and strikes down decades of campaign finance law, before withdrawing its verdict and agreeing to hear rearguments in the fall (see June 29, 2009). Toobin will write that the entire case is orchestrated behind the scenes, by Roberts and his fellow majority conservatives. Toobin will write of “a lengthy and bitter behind-the-scenes struggle among the justices that produced both secret unpublished opinions and a rare reargument of a case” that “reflects the aggressive conservative judicial activism of the Roberts Court.” Toobin will write that although the five conservatives are involved in broadening the scope of the case, and Kennedy actually writes the majority decision, “the result represented a triumph for Chief Justice Roberts. Even without writing the opinion, Roberts, more than anyone, shaped what the Court did. As American politics assumes its new form in the post-Citizens United era, the credit or the blame goes mostly to him.” The initial vote on the case is 5-4, with the five conservative justices—Alito, Kennedy, Roberts, Scalia, and Clarence Thomas—taking the majority. Created to Give Courts Shot at McCain-Feingold - Critics, as yet unaware of the behind-the-scenes maneuvering, will later say that CU created the movie in order for it to fall afoul of the McCain-Feingold campaign finance law, and give the conservatives on the Court the opportunity to reverse or narrow the law. Nick Nyhart of Public Campaign will say: “The movie was created with the idea of establishing a vehicle to chip away at the decision. It was part of a very clear strategy to undo McCain-Feingold.” Bossie himself will later confirm that contention, saying: “We have been trying to defend our First Amendment rights for many, many years. We brought the case hoping that this would happen… to defeat McCain-Feingold.” [Washington Post, 1/22/2010] CU’s original lawyer on the case, James Bopp, will later verify that the case was brought specifically to give the Court a chance to cut back or overturn campaign finance law (see January 25, 2010). The Court will indeed overturn McCain-Feingold in the CU decision (see January 21, 2010).